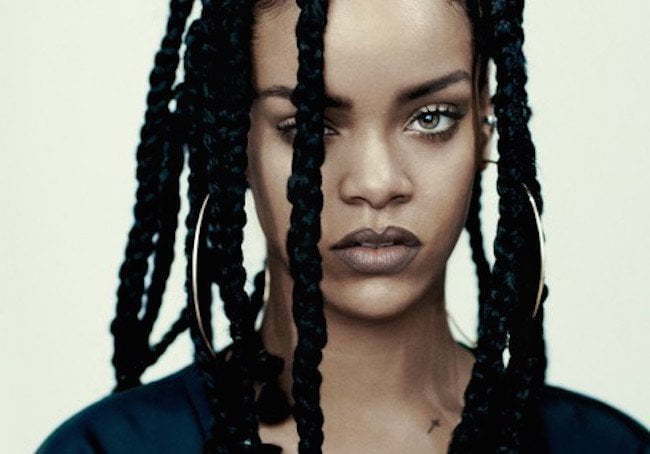 Rihanna Drop Snippet For New Song "Higher"
The Bajan pop star debut a snippet of the song on her Instagram on Thursday. The single was produced by Marcos Tovar and Kuk Harrell and has a old school rock vibe. Rihanna and her people are still tight lipped about her new album R8, but this is the second single released this year off the highly anticipated project. “5 am drunk off da whiskey with these two rockstars @officialkukharrell @djanser !!! These guys always hold me down even at the craziest hours! We’ve made every album since #GoodGirlGoneBad together! The family!!! One Love #R8,” Rihanna wrote on Instagram. Rihanna also has a hot new single “FiveFourSeconds” with Kanye West and Paul McCartney climbing up the Billboard charts. The track is currently sitting at No. 5. The movie hit theaters later this month.